Organization is key in business today, from jotting down notes after a brainstorming session to planning a large project. It’s important to keep a record! 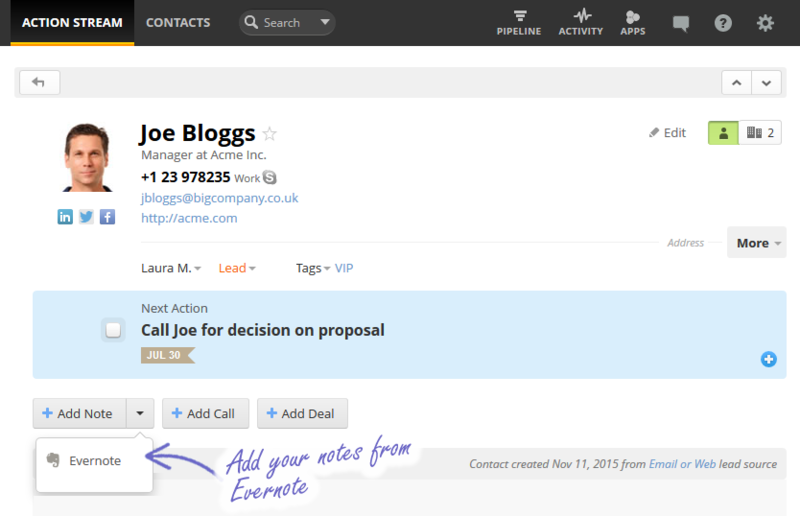 Introducing our latest integration with Evernote, to help you do exactly that! Evernote is one of the most popular organizational tools on the market. Use it for taking minutes at meetings, projects, brainstorming sessions, and to-do lists. It allows simple note indexing, tagging and grouping in notebooks for an easy search. Sounds good right? How to set up the Evernote integration? To enable our Evernote integration go to Apps > Apps and Integrations > Utilities > Evernote and click on ‘Install’. If you don’t already have an Evernote account, you can easily set one up for free. Next step is to “Connect to Evernote” to allow OnePageCRM to view your Evernote Notes, Notebooks and Tags. 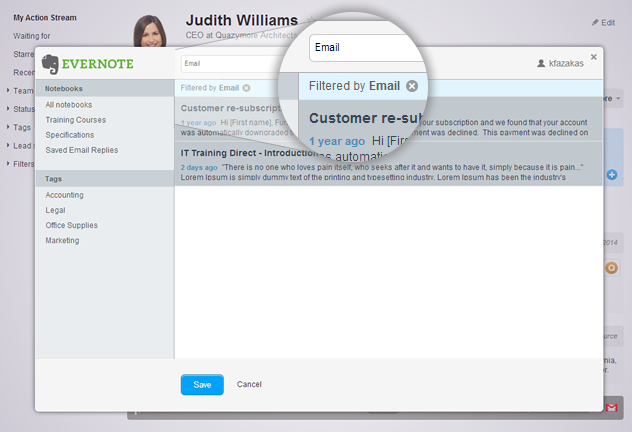 When connected, you’ll see the Evernote button appear below the Next Action area in your OnePageCRM contact’s profile. Clicking on the Evernote button will show you a list of notes divided into notebooks or grouped by tags. All that without leaving OnePageCRM! Select the notes you require and save them directly into your contact’s profile. Evernote is a very useful business application and can be used in almost all complex business situations. For example, let’s say you’re working on a large sales opportunity for a particular company; you can use this app to help you research, make notes and record important information on the deal. You may not want all of this data in OnePageCRM, just the points relevant to this case or sales process, so this integration allows you to easily decide what exact data is pulled into your contact’s activity timeline. 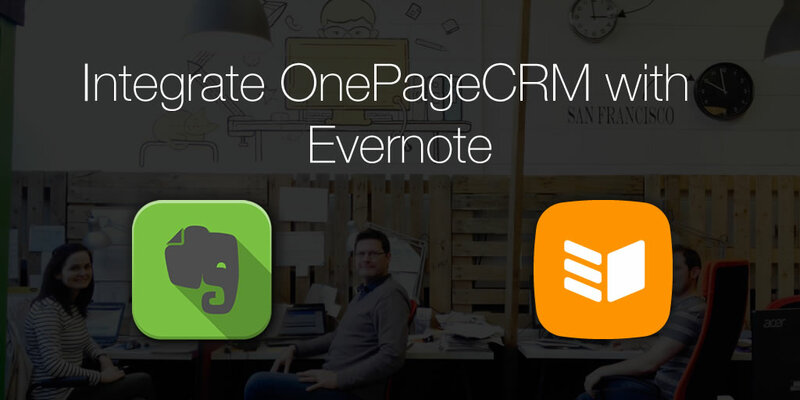 Evernote notes are now easily accessible from right within your OnePageCRM account. 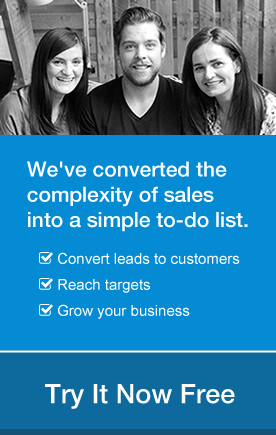 You can view previous notes or research undertaken to guide you on that next sales call. Now, you’ve all the info you need right at hand. Go on, give it a try and let us know your comments by posting below or emailing support@onepagecrm.com or view our help site to find out more.